Installing Hammer Drive Anchors can be completed in four simple steps. 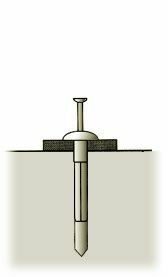 Hammer Drive Anchors can be used in concrete, brick and block base materials, and are best suited for light duty fastening. Hammer Drive Anchors are available in 3/16” and 1/4" diameters, and up to 3” long. 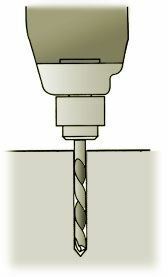 The hole diameter required for a Hammer Drive Anchor is equal to the diameter of the anchor. The Hammer Drive Anchor is tamper and corrosion resistant. 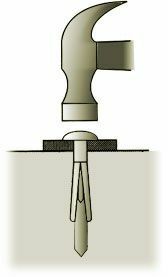 Using a hammer drill and a properly sized carbide tipped drill bit, drill a hole in the base material 1/4” deeper than the expected embedment of the Hammer Drive Anchor. Using a hammer, hit the nail into the hammer drive anchor until the head is flush with the top of the anchor.